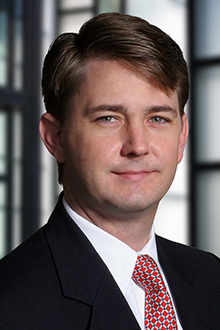 Christopher Derrenbacher is a partner in the Raleigh office of Lewis Brisbois and a member of the General Liability Practice. His clients include insured and self-insured individuals and corporations throughout the State. Mr. Derrenbacher is admitted to practice before all federal and state courts in North Carolina. He has successfully argued before the North Carolina Court of Appeals and the North Carolina Supreme Court on numerous occasions. Mr. Derrenbacher is certified by the North Carolina Department of Insurance as a lecturer on numerous topics including insurance claim handling, general liability issues, and workers' compensation litigation. He is also an occasional guest lecturer to nurses and other medical staff regarding medical malpractice litigation. Mr. Derrenbacher’s extensive practice includes helping clients and insurers investigate first party and third party claims pre-suit, including examinations under oath, accident reconstruction, expert reviews, property inspections, and fire investigations. When possible he encourages clients to consider pre-suit mediation as a means of early resolution. When early resolution is not possible, or not desirable, he has defended self-insureds, insureds and insurers across North Carolina in both the State and Federal Courts. Mr. Derrenbacher has defended insurers against first party claims related to insurance coverage, negligent claims handling, and bad faith; along with defending other clients for claims of negligence, breach of contract, malpractice, and unfair and deceptive trade practices. Santifort v. Guy, United States District Court, E.D. North Carolina, Eastern Division. In re New Bern Riverfront Development, LLC, United States Bankruptcy Court, E.D. North Carolina, Raleigh Division. Edwards v. Greenfield, United States District Court, E.D. North Carolina, Western Division. McLawhorn v. County of Wayne, N.C., United States District Court, E.D. North Carolina, Western Division. Mr. Derrenbacher is active member of Sacred Heart Cathedral Parish in Raleigh, North Carolina and a coach for youth ice hockey. Mr. Derrenbacher is certified by the North Carolina Department of Insurance as a lecturer on numerous topics including insurance claim handling, general liability issues, and workers’ compensation litigation.